December is here which means it’s time for parties, family get-togethers and celebrations galore! Whether you’re roasting chestnuts on an open fire or ringing in the new year, Windsor Crossing has you covered for all of your holiday gathering needs. Liven up any party in these glimmering dresses from Ricki’s/Cleo. The navy glittery cowl back cocktail dress pairs well with their crystal teardrop earrings. Keep warm in the silver glitter halter style dress with a black velvet shrug and add the silver glitter long necklace for maximum shimmer. The lovely lace dress from Reitmans comes in three different colours, but will have you looking especially festive in pomegranate red. Pair with the crystal ear crawlers earrings for an ultra-feminine look. You’ll be on-trend for Winter 2018 in the ¾ sleeve split neck shift dress. Make a statement by adding the long knotted 2 tone necklace. Keep your legs warm in the cold weather with Reitmans’ tights. The lurex tights are particularly perfect for the holiday season with a hint of shine. Once you’ve found that perfect dress, head over to Aldo where you’ll find a selection of heels and flats sure to compliment any holiday look. Men can join in on the holiday fashion trends too! A pop of red or burgundy can make any outfit festive. The Guess Raffi velvet blazer in marmont red is especially appropriate for the season. 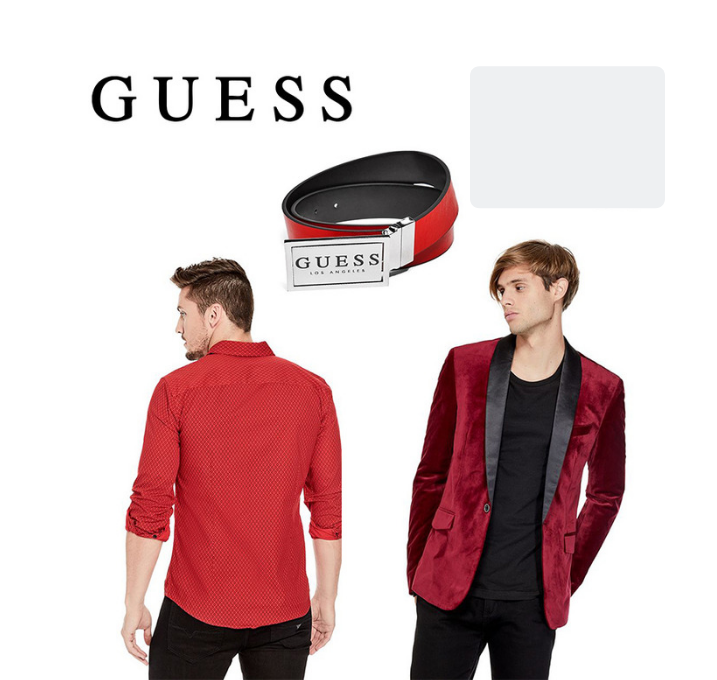 Guess will also have you looking cool and relaxed in the Lionel geo-print shirt and the logo spinner buckle reversible belt. 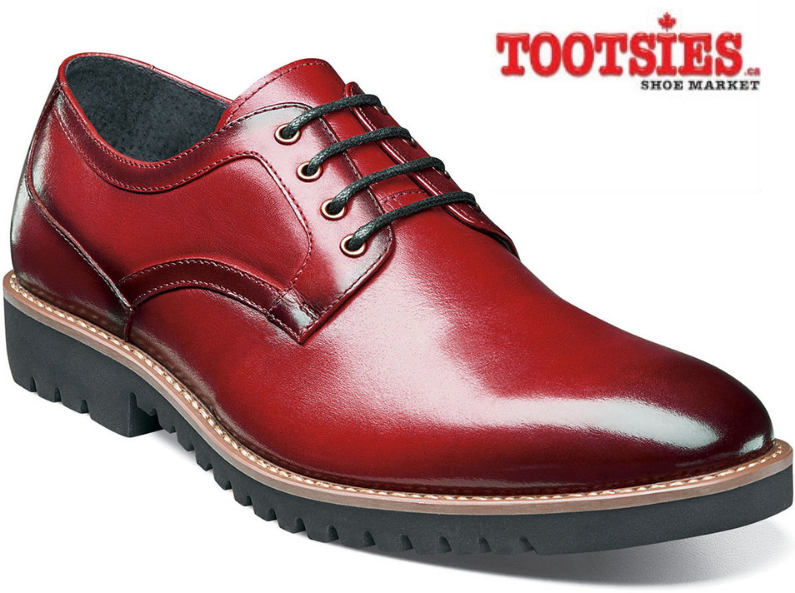 Add some holiday flair to your footwear with the Stacy Adams barclay plain toe Oxford shoe in cranberry from Tootsies. A ballet inspired look from The Children’s Place is perfect for your little sugar plum fairies! 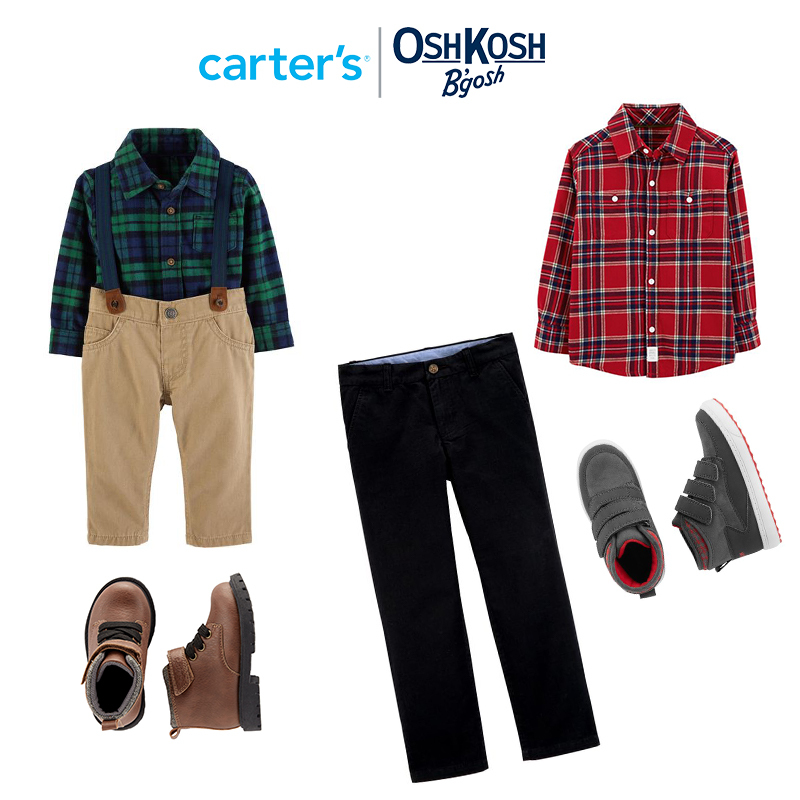 Your boys will look merry and bright in red and green plaid from Carters/OshKosh. 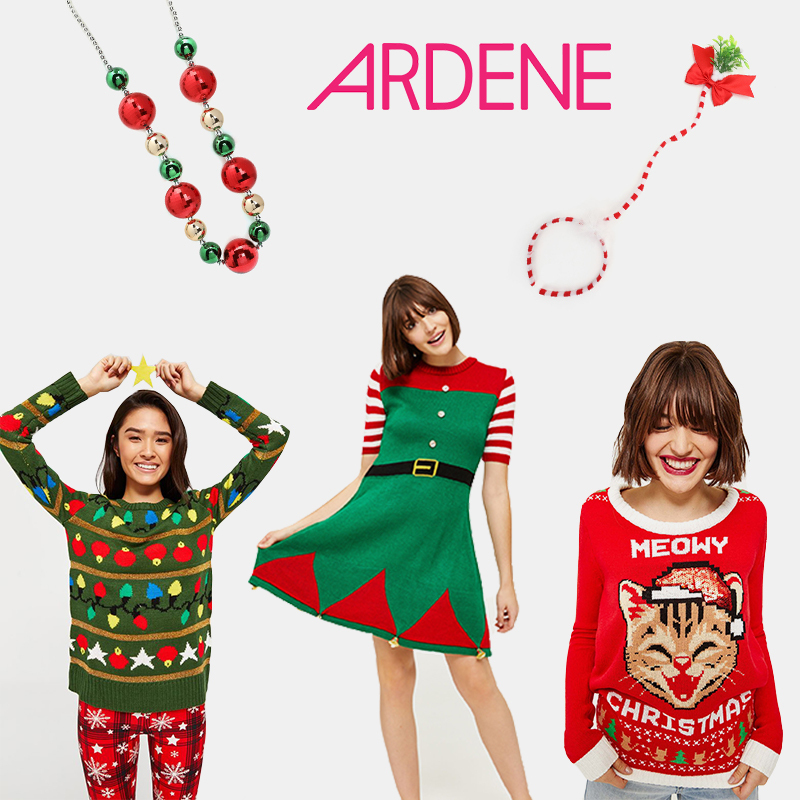 Ardene’s selection of “ugly” Christmas sweaters and accessories will be a hilarious hit at every party. 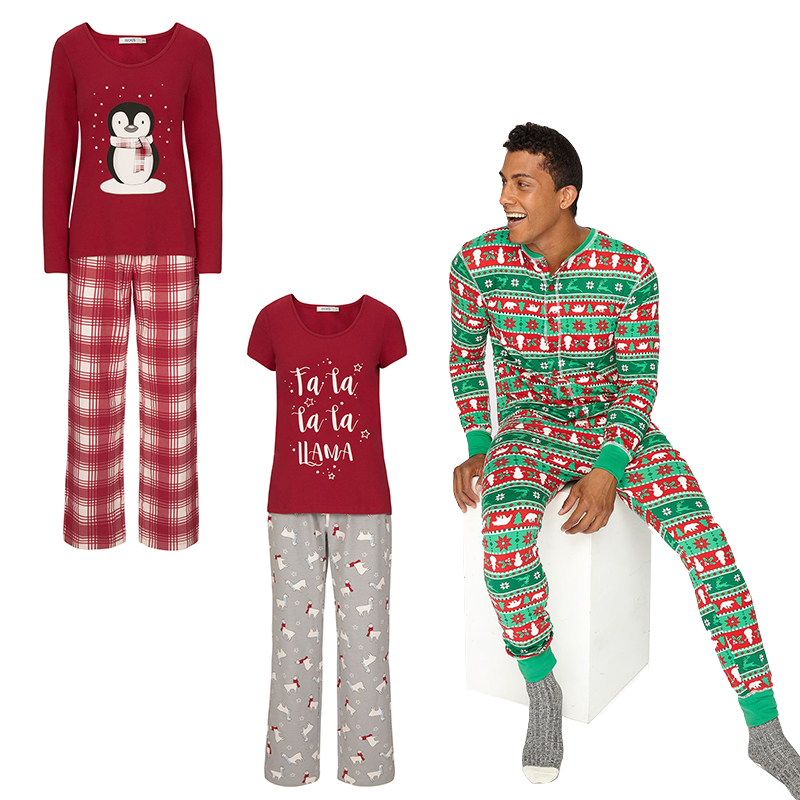 Our stores have a large selection of holiday themed pajamas for the whole family! These cozy sets and onesies are perfect for waiting for Santa in! Entertaining this holiday season? 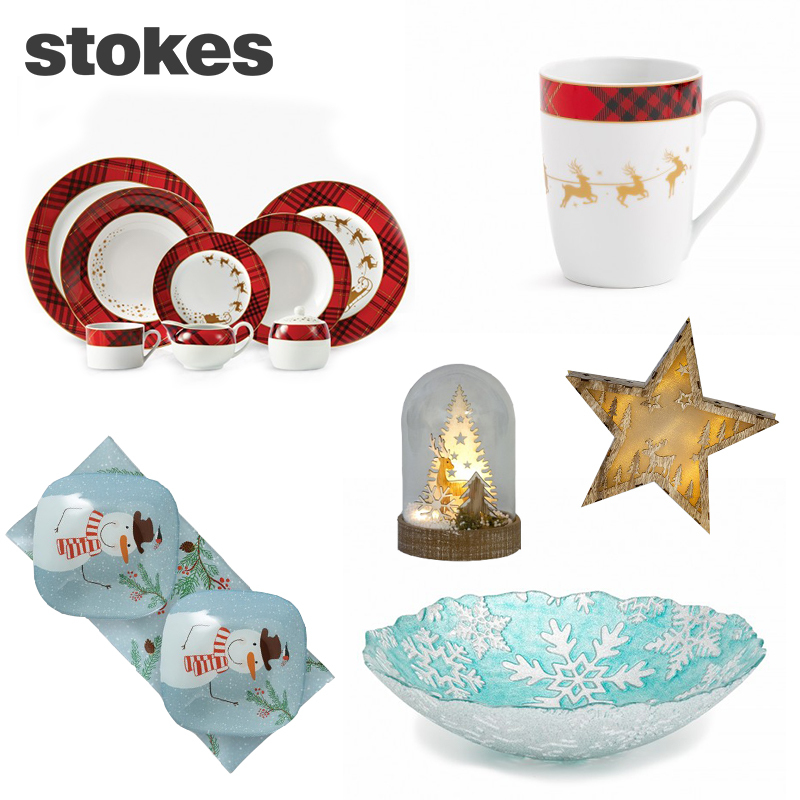 Stokes has you covered with a large variety of holiday themed housewares.